It's common enough to find the same stock photo used twice, sometimes with a different treatment on two different covers. But here's a sample of the same photo being used three (possibly four) times. In 1889 Baltimore, Amelia discovers she has the power to see the future -- but only at the moment of sunset, or the "vespers" of the evening. Love triangle! Tania and Orlando's perfect relationship is marred by the meddling of Zoran, a hot rockstar, maybe with fae-like powers? This is the cover for the Australian paperback version. Kate thinks her mother is dying of cancer, and finds herself Persephone-like, engaged to Henry, King of the Underworld. 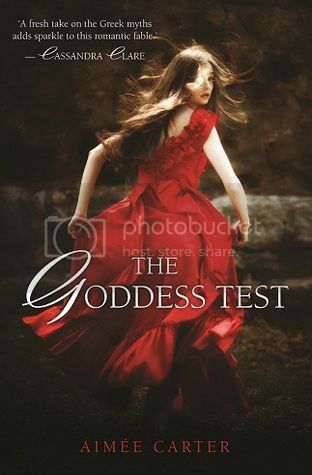 While the American cover seems more Grecian, this actually may be more acurate to the book, where the Greek Gods force Kate to wear corseted dresses for some reason. Any chance this is from the same photoshoot? It sure looks similar. Kula runs away from rural Montana to experience big city life in San Francisco. Hmmmm? The first three are definately the same. The dress looks the same in the second through fourth, so It is probably from the same shoot. You'd think each book would pick a different picture in the shook instead of chosing the exact same one. Sheesh! 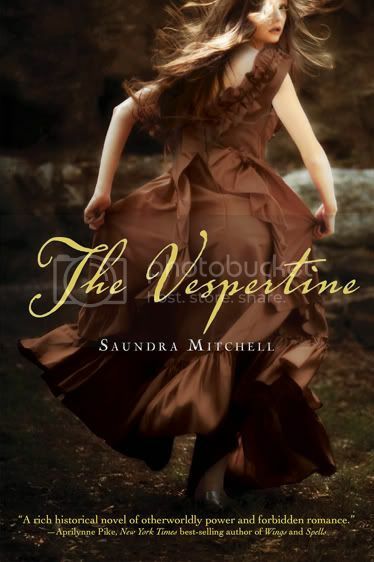 I like the cover best for The Vespertine, but it also looks nice for The Goddess Test. Also I picked you for the Liebster Blog Award! Click here for the details. Well it's four different imprints, all out in the same season. I imagine this was a new stock photo that just looks so striking, it caught several people's eyes at the same time. Yeah, the fourth one, it's really hard to say if it's the same person. The ruffles on the dress look right, and there's nothing that definitely, definitely rules it out. I think the dress is prettiest in brown. 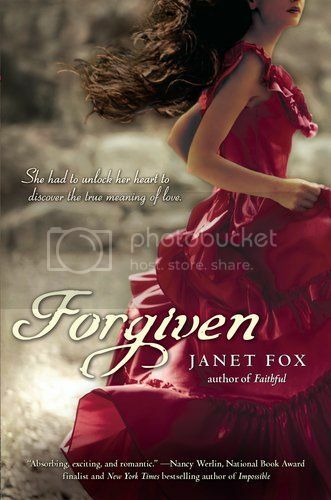 I thought that dress on Forgiven was the same as the other pictures! They're really getting a lot of mileage out of that photo shoot. That's is some VERY impressive mileage out of that photoshoot!!! Makes me wish I had shot the photos... 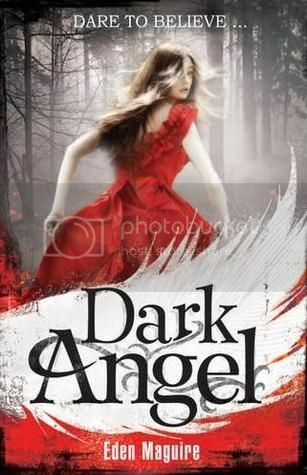 It's also amazing how many YA books are out in circulation with 'red dress' covers at the moment. It's all trend following, despite all the amazing free-thinking designers out there.